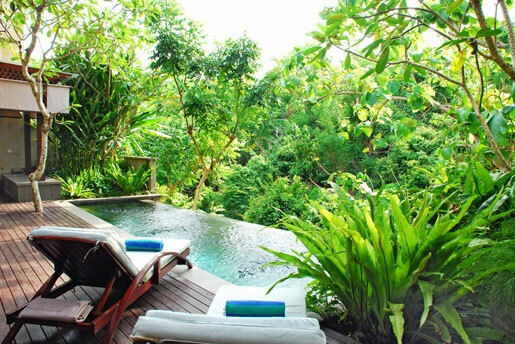 Gending Kedis is a secluded and tranquil resort featuring 19 luxury villas, perched on a ridge of land at Jimbaran Bay, Bali. 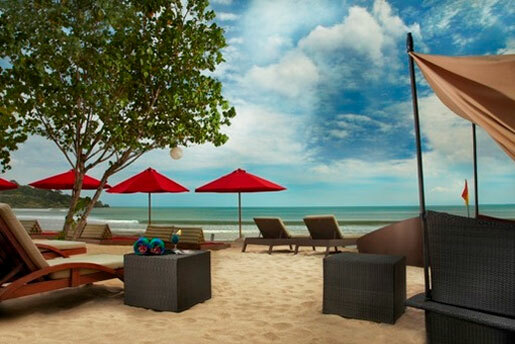 Known as Bali’s Golden Mile, Jimbaran Bay, 10 minutes drive from Bali International Airport, is home to the island’s most exclusive and prestigious accommodation, and some of its finest beaches. 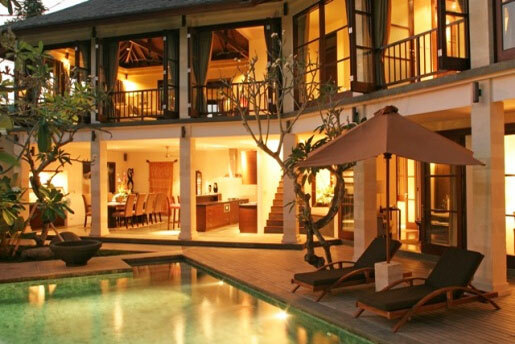 Jimbaran Bay is an area of outstanding natural beauty and Gending Kedis villas have breathtaking views over a steep wooded ravine with luxuriant green vegetation. 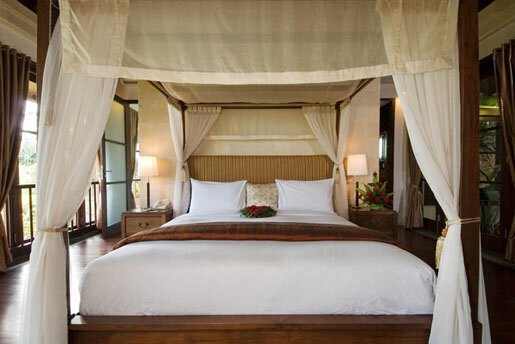 This very private haven of peace and privacy offers the finest facilities combined with attentive, friendly service, to ensure your visit to the ‘Island of the Gods’ is memorable. Designed to flow with the rising contours, the villas at Gending Kedis are configured with one, two, three and four bedrooms, each villa having its own swimming pool, modern kitchen and spacious living areas. Each villa has its own private swimming pool with spacious sundeck, and with an infinity edge, the pool blends into the horizon at the same time lending a feeling of seclusion. The resort’s 24 hours villa service means that you can order your breakfast at the time to suit your holiday schedule. 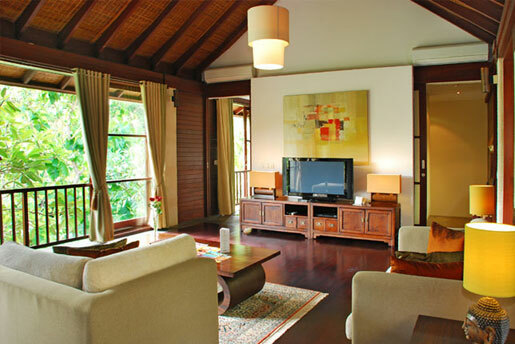 And with butler service you can phone and arrange your daily recreation activities. In-villa dining means that you can order according to your numbers: a romantic candle-lit dinner for two, at your poolside. Or bring your friends and allow the chefs to prepare a barbecue with fresh seafood and steaks. The resort is less than 5 minutes to Jimbaran beach (700 m); and less than 15 minutes to nightlife and shopping of Kuta and Legian. The golf courses in Nusa Dua or Pecatu are less than 15 minutes. Cultural sites abound in this area of Bali, you can visit the giant statue of Garuda Wisnu Kencana at Ungasan; and Uluwatu temple at Uluwatu. Ubud, the art area, can be reached in about 1.5 hours (72 km). Rooms : 19, Located in exclusive Jimbaran, Private and luxurious villas, Ideal for families, Spa, Restaurant, Infinity pools, In-villa dining. Set against the backdrop of a luxuriant hillside, the spacious one bedroom PRINIA villas offer you a hideaway of intimacy and serenity. You may choose cool air-conditioned comfort in the upper level living room, complete with modern kitchen and private dining, or unwind at the poolside below, where the rippling water glides over the infinity edge, as if to a distant horizon.Feature an additional snug bedroom, ideal for an adult or child. Make it a family affair with unforgettable memories of freedom and fun. 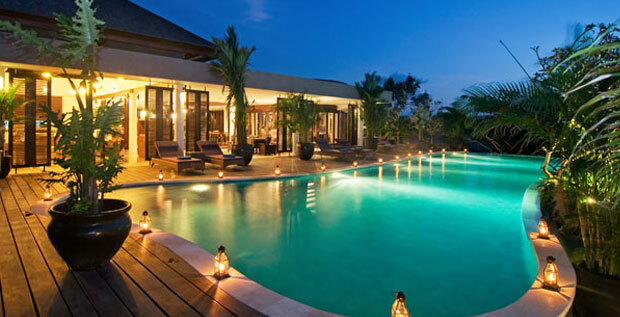 Or join with closest friends and share the luxurious facilities provided in the three bedroom CHERIDA pool villas. 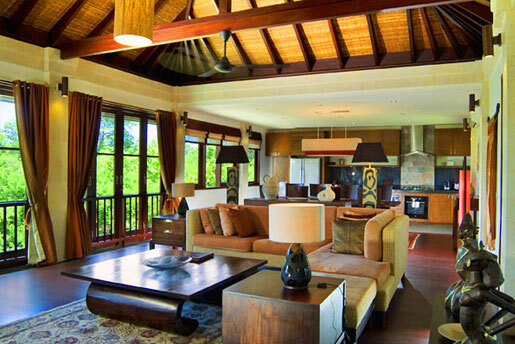 These oases of tranquility, space and style are the epitome of luxury living. 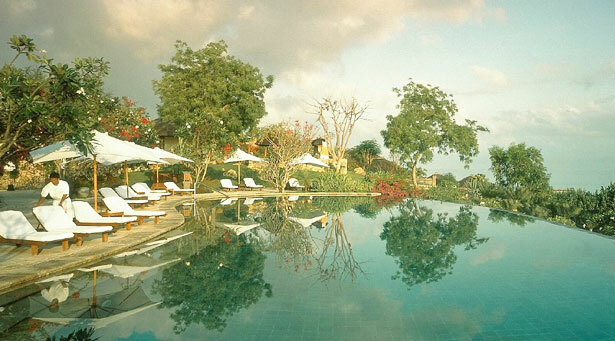 The large 10 meter swimming pool will invite you for an early morning dip. The lush emerald gardens and colorful tropical flowers will calm your inner being. The perfect accommodation for family holidays, friends together, small corporate groups, or golfing buddies. 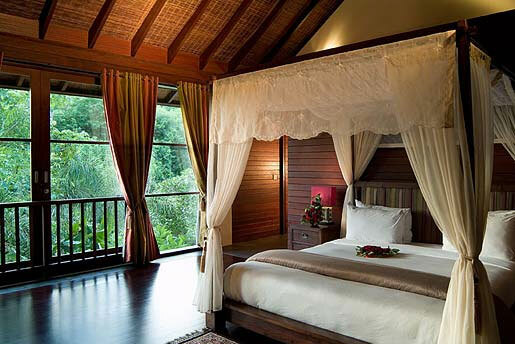 With uninterrupted views across a thickly forested gorge, the four bedroom pool villas, KOKOKAN and JELANTIK, are for the favoured few. Both these unique villas share dramatic views into the setting sun. The curved infinity edge pool blends into a reflecting pond, tricking the eye to believe the water merges with the treeline beyond.